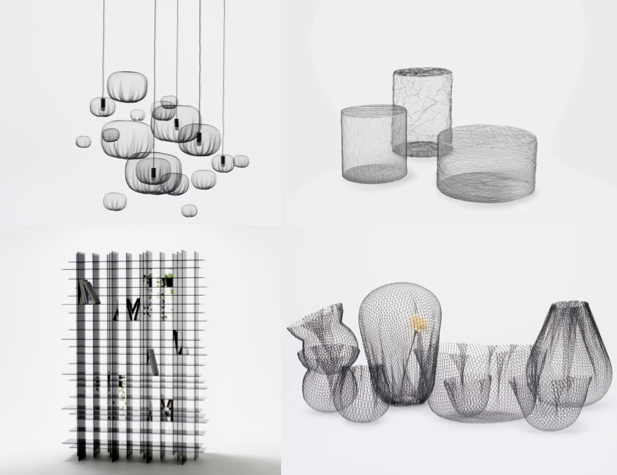 From time to time design dares to dream beyond the touchstones of opulence and minimalism and creates what is essential to its very nature – a world of its own. 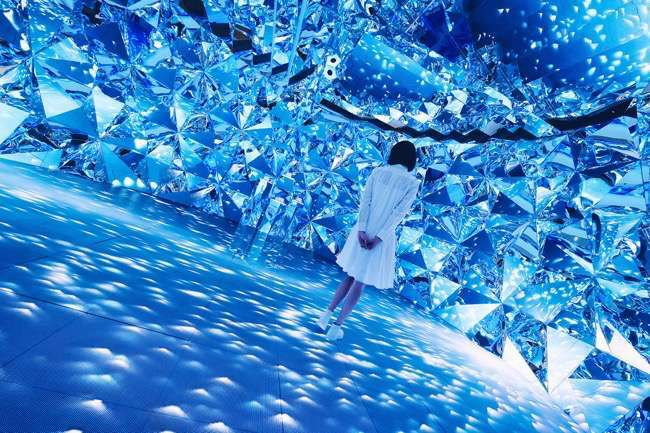 Such a venture is a ‘Prismverse’ – an interactive diamond-themed installation in Shanghai. 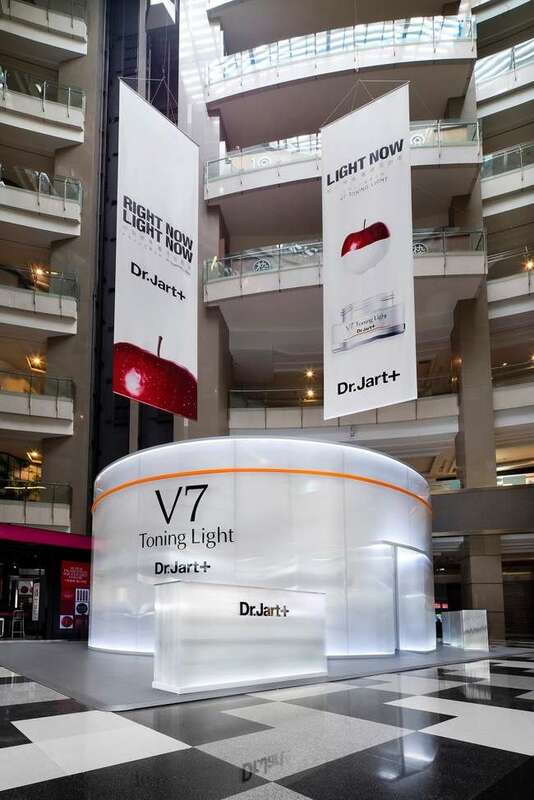 Designed by Hong-Kong based design studio XEX – now rebranded as XCEPT, it was commissioned for an International skincare brand Dr.Jart+ to serve as an experiential pavilion for the product’s instant effect on the skin. 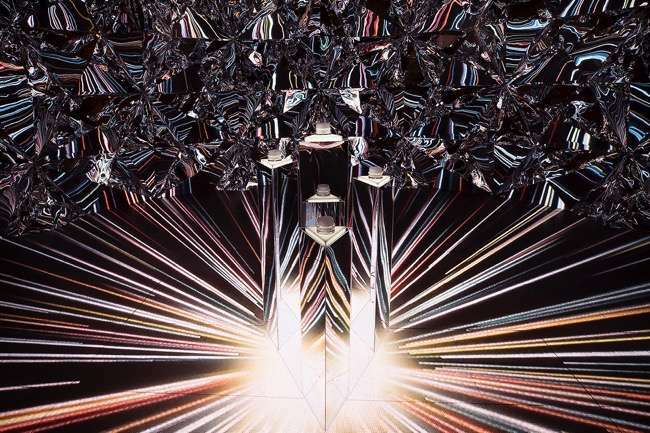 In this installation the audience finds themselves immersed in the splendours of Mother nature, ranging from the galaxy and distant stars, rare gemstones, glistens of flowing water and refracted light beams. The journey is to these unprecedented sceneries, begins at the touch of the product placed in the centre of the space and resembles the brightening, moisturizing, protective and vitalizing effects of the product once applied on the skin. While an ambient soundscape, produced with using omnidirectional speaker fabricated by sonihouse and complemented with alternating colours and dizzying patterns further allures visitors into the depths of this design fantasy. This installation is our favourite pick from this year’s entrants of the Golden Pin Design Awards. Moreover, we spoke to Chris Cheung, the award-winning creator and founder of interdisciplinary creative studio XCEPT, to find out how he blurs art with design. Design Pataki: Can you tell us about your journey with XCEPT? Chris Cheung: I founded XEX and XCEED back in 2007. Since then along with my teammates I have been handling commercial and art commissioning under these brand names respectively. This year, I decided to re-brand XEX as XCEPT – which is now an “experience-driven” initiative. This is because I believe audiences and customers will begin to focus on tactile or hyper-sensorial experiencing even in a physical space as online platforms have already made this possible for them on a daily basis. So, XCEPT will be a hybrid innovative studio that crafts unique experiences. Design Pataki: Tell us about your design sensibilities and influences. Chris Cheung: Firstly, to make sense out of our rapidly changing environment. We are entering a world with so many visual technological innovations like VR, AR and AI. So, the next big question is -“What is actually real?” around us. I try to combine these experiences with some other of my inspirations like Mother Nature and the principles of Japanese Bonsai – an ancient horticultural practice also known as “the living art”. Design Pataki: What inspired the design for Prismverse? 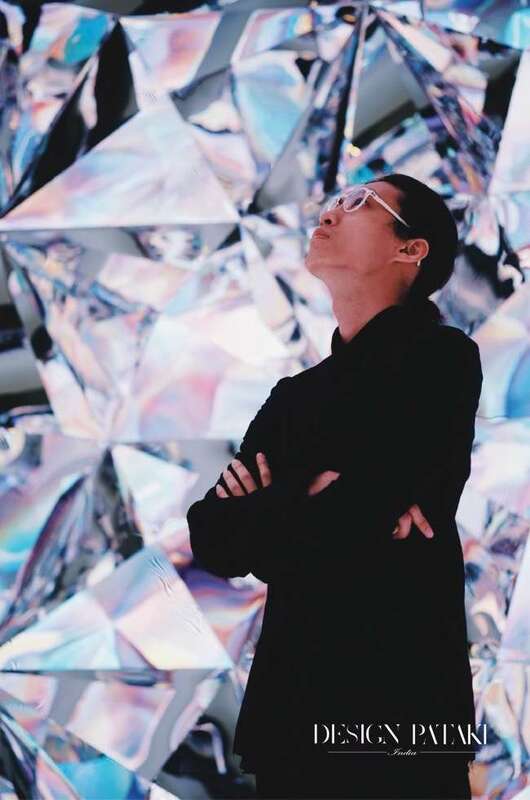 Chris Cheung: The reflection of light, especially the fascinating way in which light travels through a diamond. I wanted to re-create that experience for visitors in Prismverse. Design Pataki: Can you tell us about the materials sourced for the installation? Chris Cheung: The materials are rather simple. 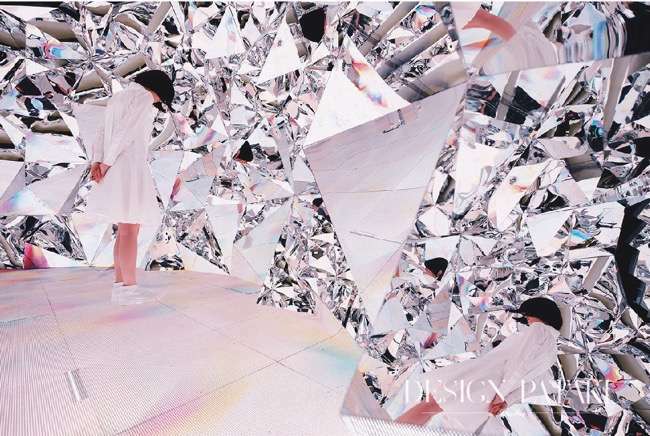 LED lights make up the ten-meter long floor and tessellated geometry mirrors have been used to create the walls of the installation that bounce lights inside it. Design Pataki: Prismverse is a grand and immersive experience. What for you is the most exciting element of design in this project? Chris Cheung: I can’t pick a single element, the entire design process for me has been both exciting and engrossing! Though the final outcome was overwhelming. It was so much more impactful than the 1:10 model on which we had tested the Prismverse experience. Design Pataki: What’s next for XCEPT? Chris Cheung: We are crafting another giant immersive art installation back in Hong Kong. It will be launched in late August this year.